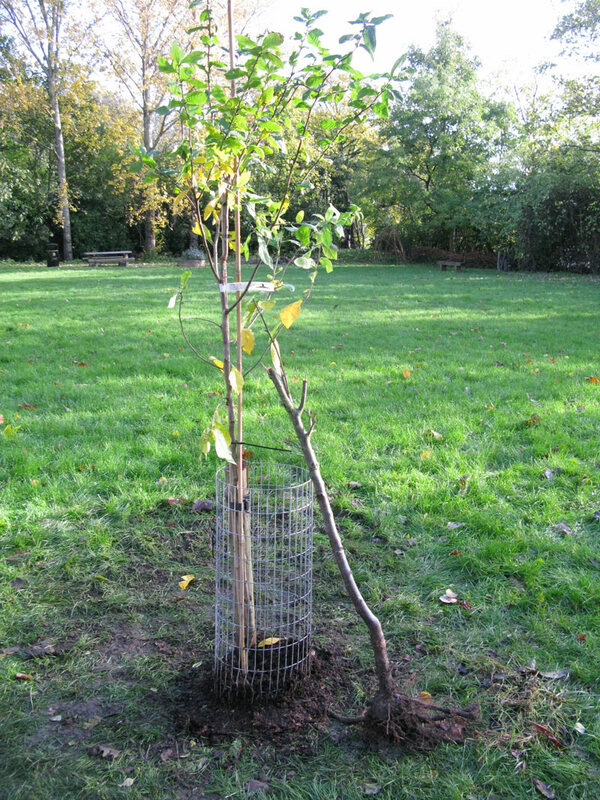 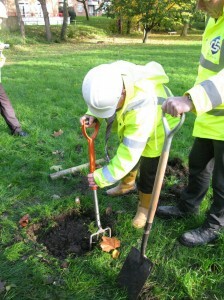 Today saw the first replacement tree in the Orchard being planted. 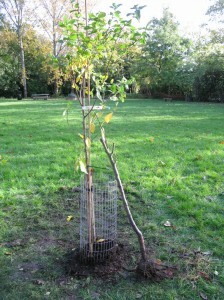 It’s a “Nottingham” medlar, half standard tree from Ashridge Nurseries. It has been kindly donated by GB Solutions, who are re-building the Kings College halls of residence on Champion Hill on the site of Platanes. 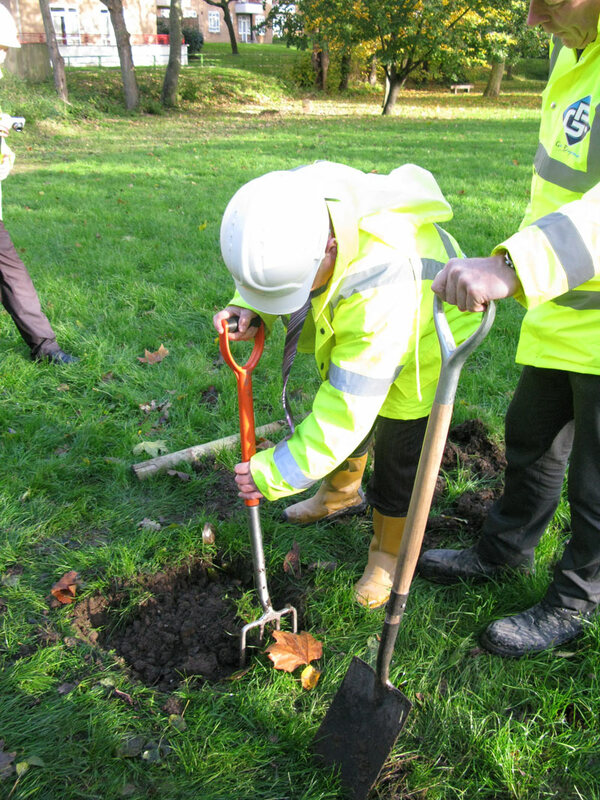 We have planted it further away from the path than before in the hope that this deters vandals from breaking the branches. 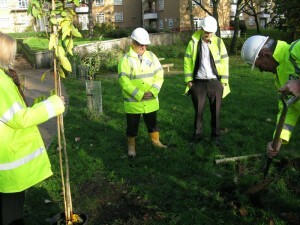 There are still 3 more trees that badly need replacing.